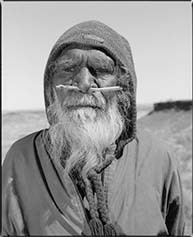 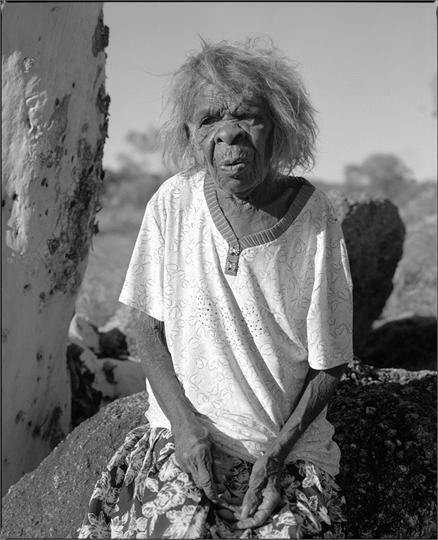 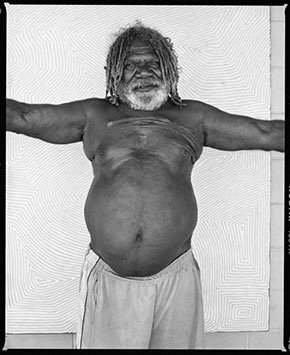 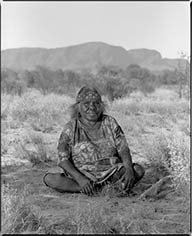 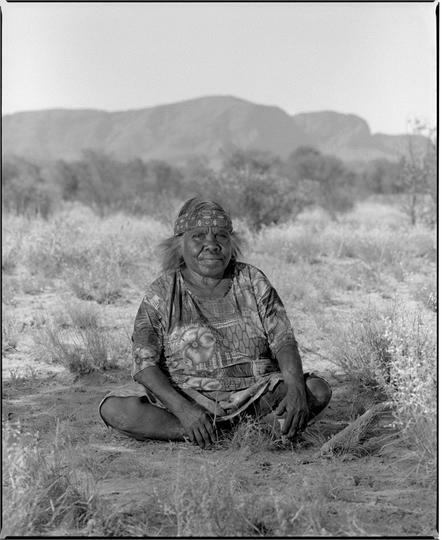 These portraits were made during several trips to the Western Desert region of Central Australia in 2006, 2007 and 2008. 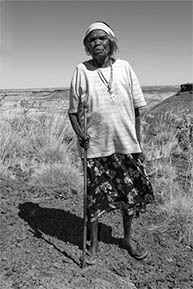 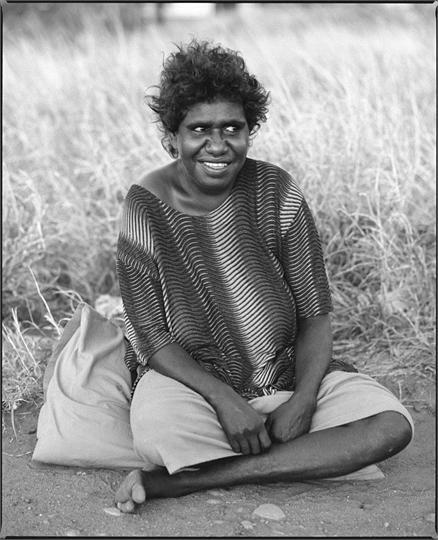 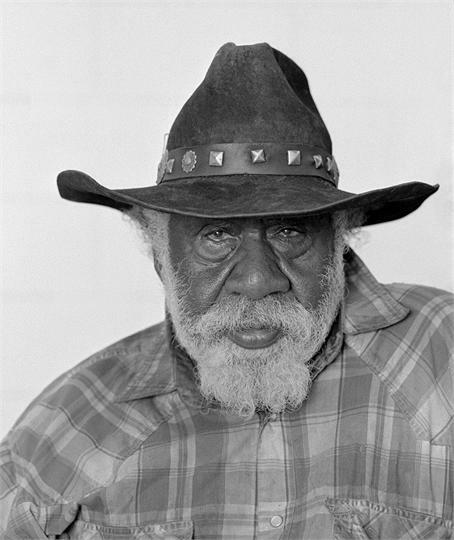 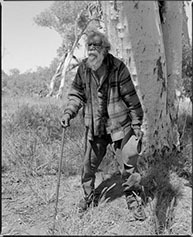 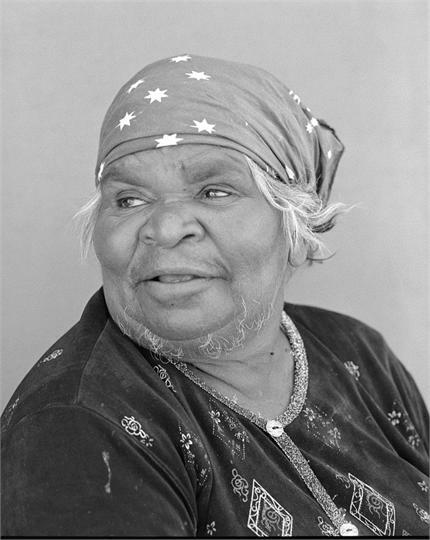 The Pintupi and Warlpiri artists in this series of more than seventy portraits are to be published in a book which is to be launched in 2010. Edition 1/5 pigment on cotton rag. 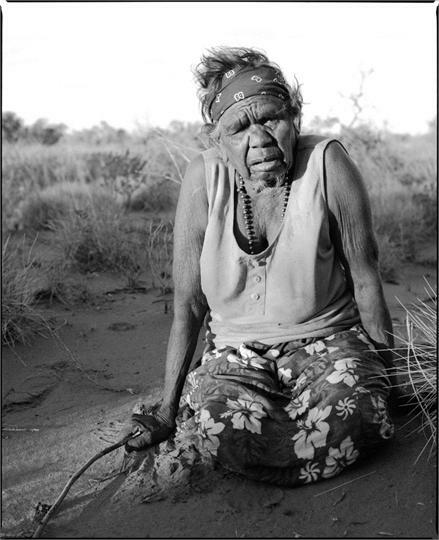 Print size 95cm x 75cm and un-editioned pp C Type prints are available. 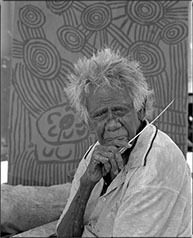 Size 50cm x 40cm.